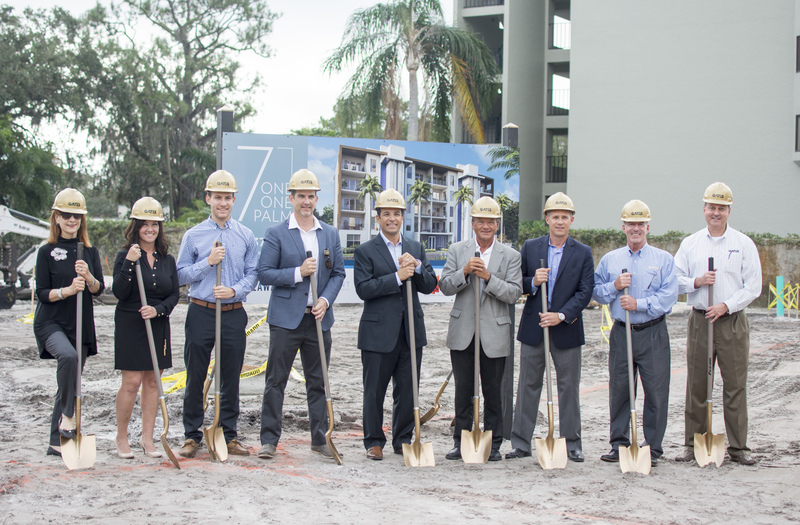 Stakeholders held a ceremonial groundbreaking at the future site of the 7 One One Palm development on Dec. 8. Crews broke ground on the 7 One One Palm development at 711 Palm Avenue without much pomp and circumstance on Nov. 28 — a lapse stakeholders were sure to rectify on Dec. 8. Amy Drake, Anna Chesanek, Steven Moore, Brian Jones, Mark Sultana, David Hargreaves, Patrick DiPinto, John Hayes an Mark Card pose for a photo before the ceremonial groundbreaking. 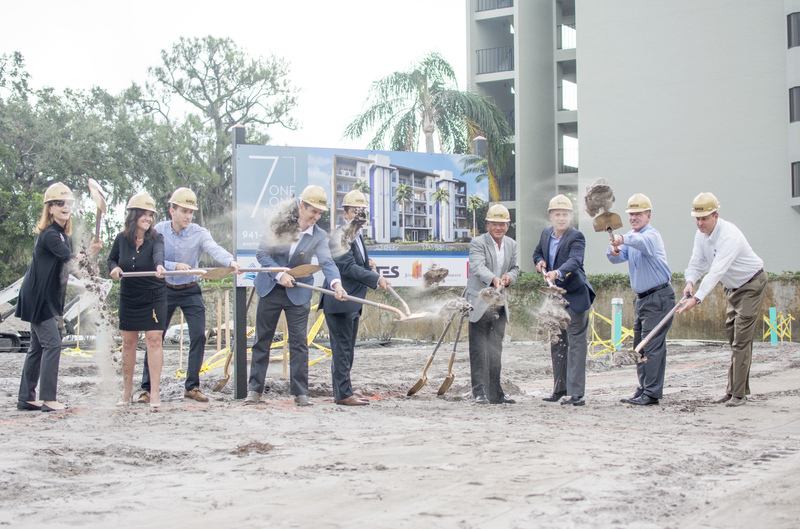 Representatives from Seaward Development company, DSDG Architecture and GATES Construction gathered on site to ceremoniously break ground on the 16-residence condominium development. Seaward Development CEO Patrick DiPinto thanks guests for attending the ceremonial groundbreaking of the 7 One One condo development. Five of the residences, priced between $1.05 and $1.3 million, are under contract with 11 available for sale. 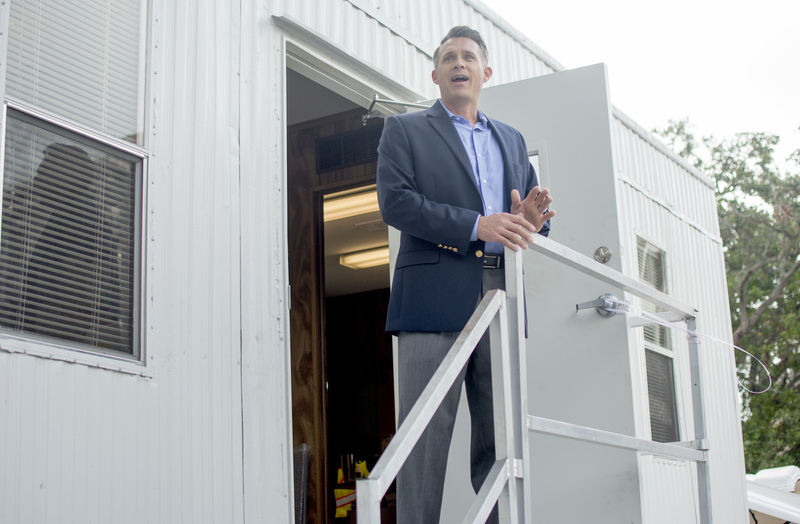 All residences are three bedroom and three bathroom dwellings. Construction is slated to finish between late 2018 and early 2019. Amy Drake, Anna Chesanek, Steven Moore, Brian Jones, Mark Sultana, David Hargreaves, Patrick DiPinto, John Hayes an Mark Card ceremoniously break ground on the 7 One Ones condo development. After welcoming guests to the property, DiPinto led stakeholders to the groundbreaking site where they donned their hard hats and participated in the ceremonial groundbreaking.